73 1 Margaret 48 F Ireland X Nov 2, 1850, Charleston Twp., page 145, D. Dewey enum. 7 51 53 Reas Josiah 37 M Farmer 1800 NY Spelled "Reese" in 1860 census, Charleston Twp., page 89. 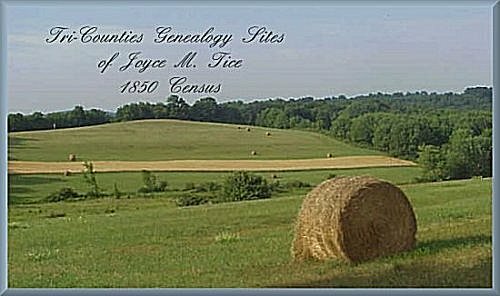 14 52 54 Durya Reeleeff 26 M Farmer 600 PA Spelled "Duryea" in 1860 census, Charleston Twp., page 89. 18 53 55 Trull Rob't 37 M Carpenter & Joiner 600 England 1860 census, Charleston Twp., page 88. 25 54 56 Jones Wm. L. 48 M Farmer 800 England 1860 census, Charleston Twp., page 88. 31 Emily 6 F PA X Born same year. 32 Sarah 6 F PA X Born same year. 42 58 60 Bacon Dan'l 39 M Farmer 600 PA 1860 census, Charleston Twp., page 97. 73B 1 Loiza 28 F PA Nov 2, 1850, Charleston Twp., page 146, D. Dewey enum. 10 60 62 Crittenden Tilden 43 M Farmer 3000 England 1860 census, Charleston Twp., page 85. 12 John 20 M Farmer England 1860 census, Charleston Twp., page 86. 24 Dickerson Julia 12 F PA X 1860 census, Charleston Twp., page 85. 31 Barbara 45 F Germany X 1860 census, Charleston Twp., page 87. 41 66 68 Kohler Geo. 35 M Laborer 600 France 1860 census, Charleston Twp., page 86.